Europe's largest leisure and entertainment complex is opening in Birmingham. It's hoped 'Resorts World' which is a seven storey building based at the NEC, will bring thousands of tourists into the City. 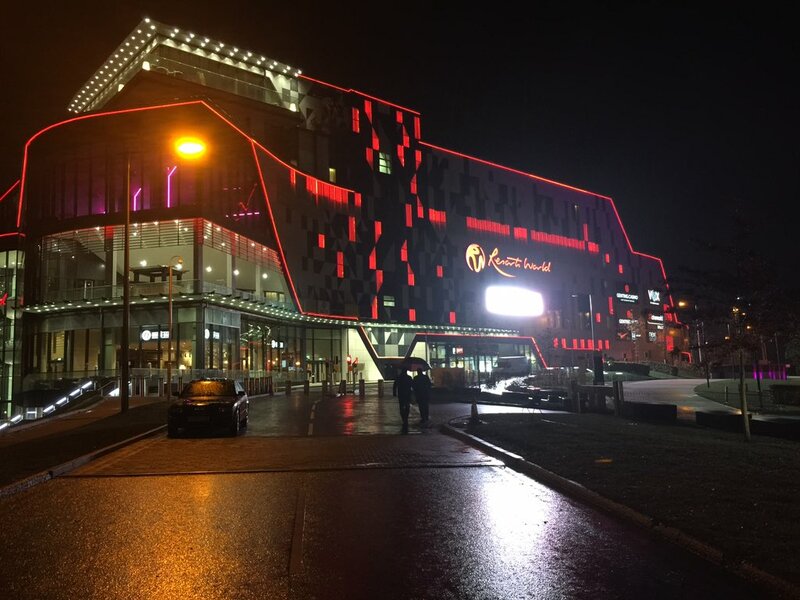 It cost £158,000 to build and has a boutique hotel, outlet stores, restaurants, bars and an 11 screen IMAX cinema which opens on Friday along with a casino and conference rooms. Resorts World complex's have been built in lots of other places worldwide including in Las Vegas, Singapore, and Malaysia but this is the first one in Europe. 'We wanted to bring something exciting to the region, this is unique in the UK, it's unique in Europe. This is the first of it's kind. It's very exciting and we're very proud to bring it to the West Midlands'.